This post was sponsored by Lionsgate as part of an Influencer Activation for Influence Central. Growing up you face many challenges and face new experience in everyday life. My oldest, Pinky, has experienced so many changes this year with her first year of school. She started riding the bus to school, playing on the playground and eating lunch in the cafeteria. Everyday is a new adventure which can also make children nervous or apprehensive. 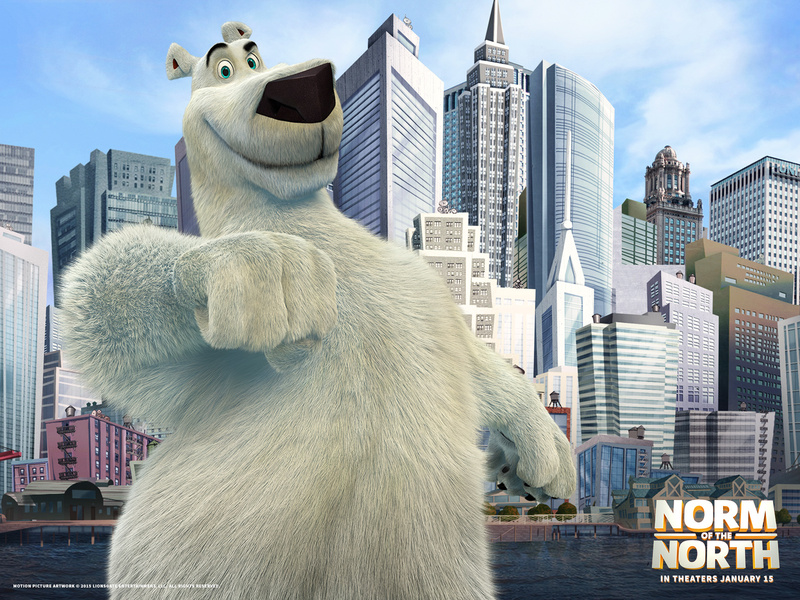 Lionsgate’s latest movie release, Norm of the North, introduces audiences to Norm, a big-hearted, and talkative polar bear from the Arctic, as he ventures to NYC to prevent his beloved home from being overtaken by developers. With helpful friends at his side, Norm takes on the Big Apple, big business, and a big identity crisis as he tries to save the day! My daughter often times gets nervous about new things and it takes some pep talks to warm her up to them. For example last year at the county fair she wanted to ride the ponies but when it came time for her turn she got scared and nervous and backed out. We talked to her and the next day she decided she didn’t want to miss out and went and got on the pony and had a great time! The new movie, Norm of the North is a cute new children’s movie that helps encourage children to ‘take the plunge’ when it comes to new experiences because life’s greatest rewards often stem from taking chances and going outside of our own comfort zones. With my daughter facing so many new things this year I’ll be taking her to see Norm of the North because I love the message it sends and I hope it will help her to face the new challenges and adventures with more confidence even if she may be a little nervous about it. In excitement for the film, Norm and his friends have put together a fun “Arctic Shake” video providing instructions how you and your family can “Shake your Bear Thing” just like in the film! *I-C will randomly select 5 winners from all program entries and will handle fulfillment of the winning prizes. Oh that looks like such a cute movie that the whole family will enjoy! So excited to see it!